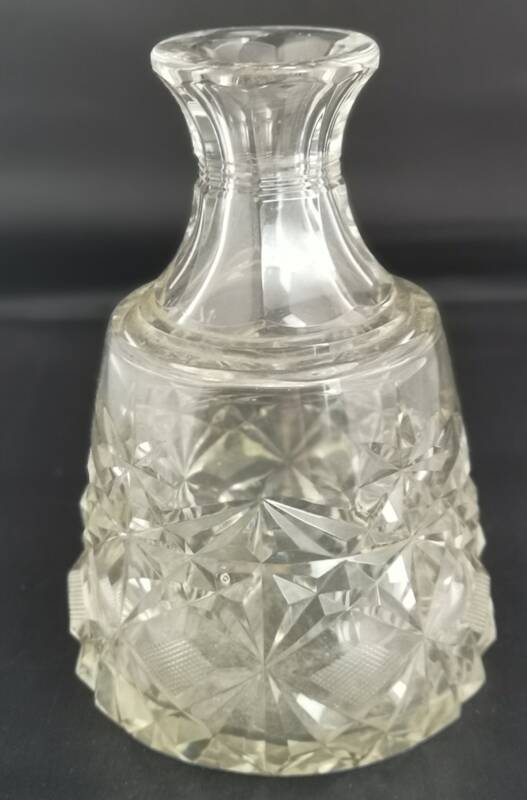 An attractive antique cut glass decanter. 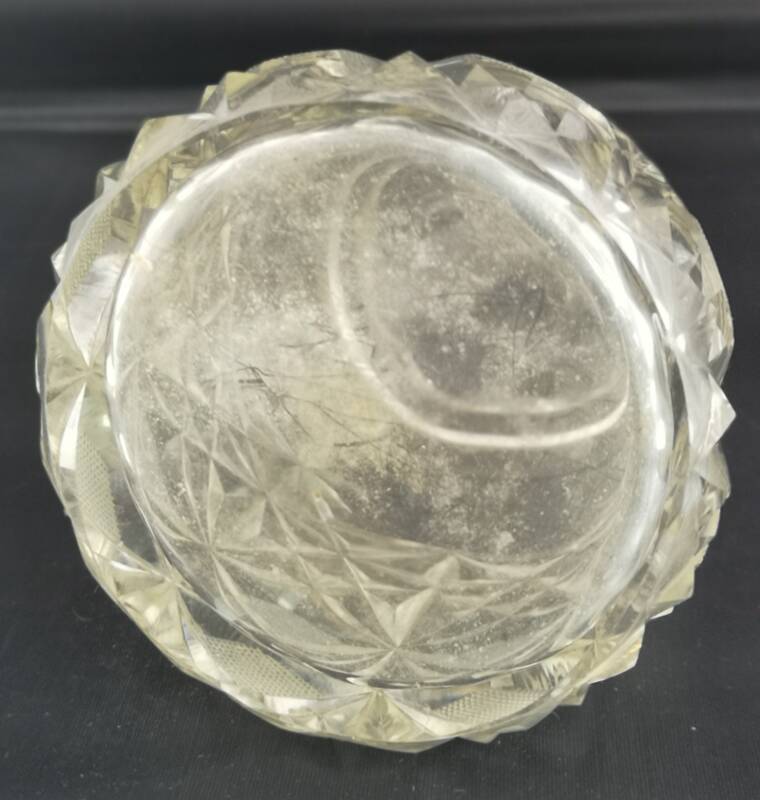 Heavy and finely cut good quality glass with a deep pattern. 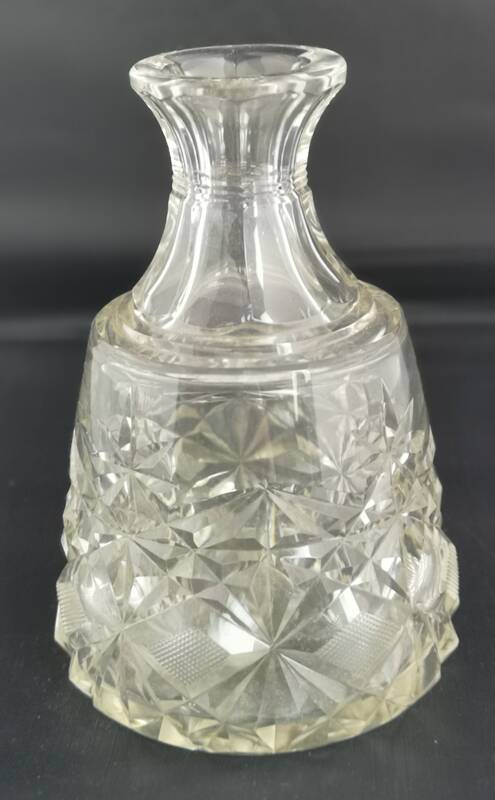 Moulded glass a nice early piece, It is a short decanter for heavier drinks. 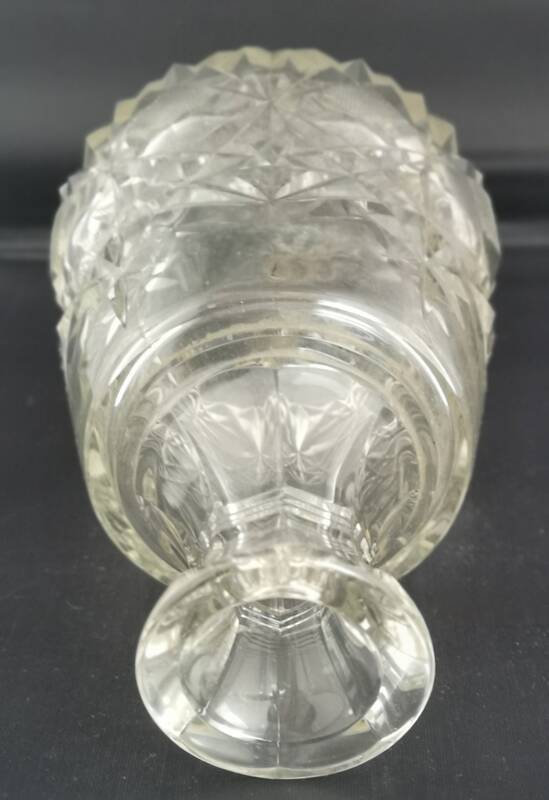 It is used and shows signs of wear, some residue in the bottom, it does not have a stopper, you could use your own stopper or it could be repurposed as a vase. 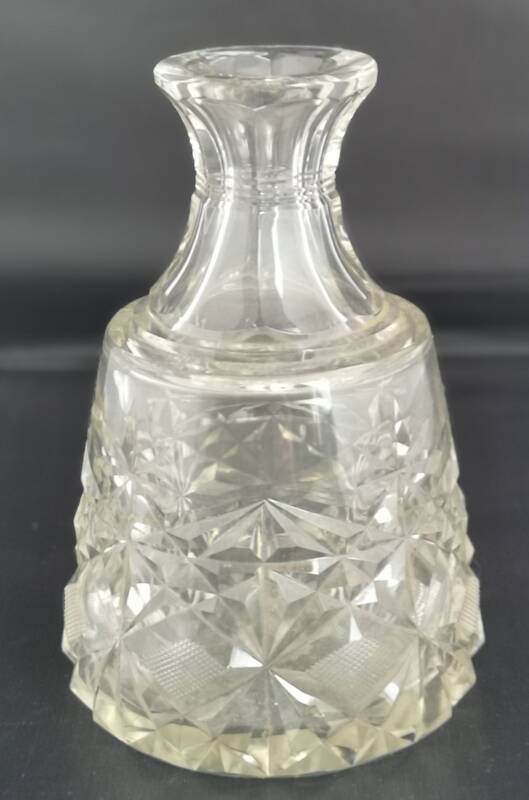 Approx 6" height and 13" circumference at the widest point.